Only the inventors of canine eyewear could bring you this innovative product! Our Doggles Mesh Eyewear in Blue is the newest alternative in dog eye protection. The mesh eyewear is made of breathable UV mesh that filters out 50-60% of UV rays while allowing for all-day wear. 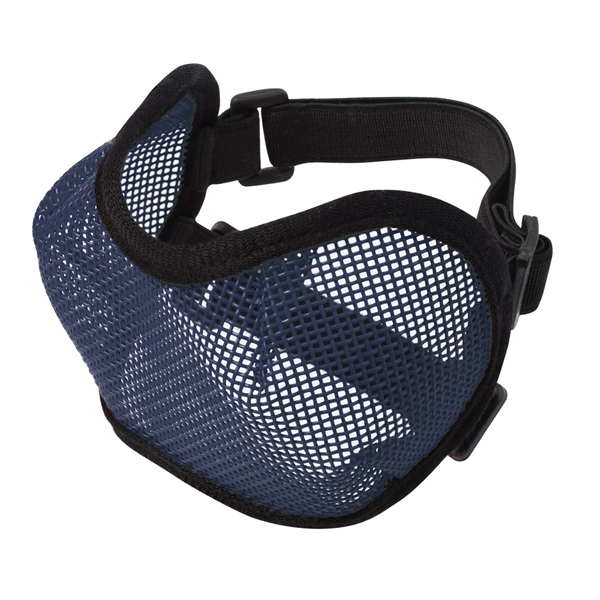 Elastic and adjustable straps hold the eyewear in place comfortably. Available in 4 sizes and 2 colors. Doggles Mesh Eyewear - Blue Customer Photos - Send us your photo! Mugsy is 8 months and his sister Rue is 4 years. Here they are sporting their cool fox-tail protection eyewear! Abbie was born blind. The doggles are to protect her eyes from being poked while playing & roaming the yard. Posted On 11/09/17 by Linda L from Ridgecrest, CA Yes, Linda L recommends this product! My 16 year old Pomeranian has very low vision and he either walked into a sharp thing or the cat scratched his eye, but he ended up with an ulcerated cornea and eye infection. During the time he was being medicated we tried protecting his eyes with an ecollar, the CONE, and then we used a Muffin's Halo. Both helped to come extent, but the poor dog was encumbered with stuff fastened to his body. He walked hesitatingly and seemed generally unhappy. When we put the Mesh Doggles on him, he took longer strides when he walked and got around much better. I think the other devices taught him to be aware of things touching his furry head, and he's doing great with the Mesh Doggles. His eyes are healing well, and he seems to be able to see somewhat, light and dark objects, like humans. I'm so pleased with these helpful things. Posted On 11/08/13 by Margaret B from Bellevue, WA Yes, Margaret B recommends this product! The Doggles Mesh Eyewear works really well. Doesn't seem to bother Ben like the Doggles glasses do. They kind of squeeze his eyes where the Mesh doesn't, so he tolerates the Mesh better. 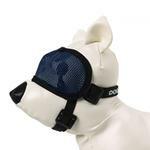 The Doggles glasses are quite cool looking but hard to fit and if he shakes his head they go flying. Ben went blind recently and we want to protect his eyes when he is outside roaming around.